The SEC has finally proposed new Crowdfunding rules. Here they are. Not so fast. As one commentator noted about the proposed rule, “[Small business] can pitch the crowd and go public on a small scale.” This statement is wrong. 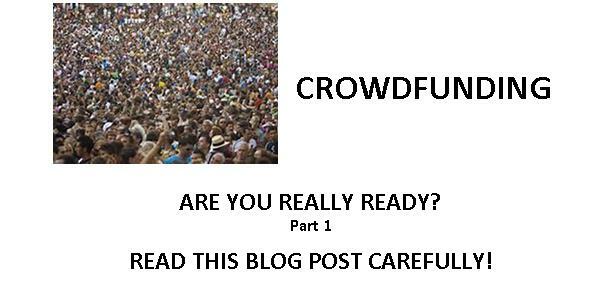 YOU DO NOT GO PUBLIC WITH CROWDFUNDING. Let me repeat this again: YOU DO NOT GO PUBLIC WITH CROWDFUNDING. What do you do: You have the ability to raise up to $1,000,000 from investors every 12 months under the proposed rule. You raise $250,000 from selling your stock to 500 small investors. These investors are now shareholders in your Company. Do you have an answer? You don’t. You never really had your securities qualified for quotation on an OTC Market. You never took the steps necessary for your shareholders to be able to deposit their shares with any broker. Many will tell you that your only alternative is to become a fully-reporting SEC company. That involves a full SEC filing to become a reporting company and then you have the expense of real audits, legal fees, etc. Plus you have the on-going expenses of filing Q’s, K’s and other SEC reports. How much will this cost? Probably about $75,000 or more to become an SEC reporting company and about that amount every year. As Scooby Doo used to say, “Ruhh Rooow!” Now you have 500 investors who are not really happy with you. Is there a solution other than the expensive process of becoming an SEC reporting company? And my firm has done this in the past for 15 companies in similar situations.